Two adjoining mini-retreats at Wangapeka, Near Nelson, NZ. In these teachings Lama Mark will introduce an entire rich path for cutting directly through mental afflictions and bewilderment to reveal our true nature – the primordially pure, spontaneously compassionate and completely awake nature of Mind. Known as the Great Perfection, or Dzogchen, this approach is considered by the Nyingma school of Tibetan Buddhism to be a most direct path to full Awakening, the complete expression of the union of wisdom and compassion. The complete teachings will be given over two adjoining mini-retreats. You are welcome to attend Part 1 only, or both Part 1 and Part 2. First, Lama Mark will give a Drikung Yangzab Empowerment of Guru Rinpoche to open the door to this lineage’s ocean of blessings. In order to walk this path with increasing confidence, he will give detailed teachings on understanding and practice of the Yangzab Dzogchen, beautifully rich outer and inner preliminaries. This work is vital to develop merit/strength and wisdom to support the genuine realization of Trekcho: ‘completely cutting through’ obstructions and hindrances to reveal mind’s luminous innate nature. 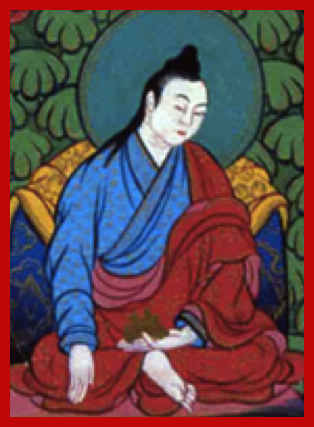 The second mini-retreat will expand upon the teachings of Trekcho, as practiced and taught in Patrul’s Rinpoche’s famous commentary of Garab Dorje’s, “Three-Statements that Strike the Vital Point”: 1) Direct introduction to one’s own nature, 2) Removal of doubt regarding this state, and 3) Confidence directly in the liberation of rising thoughts.